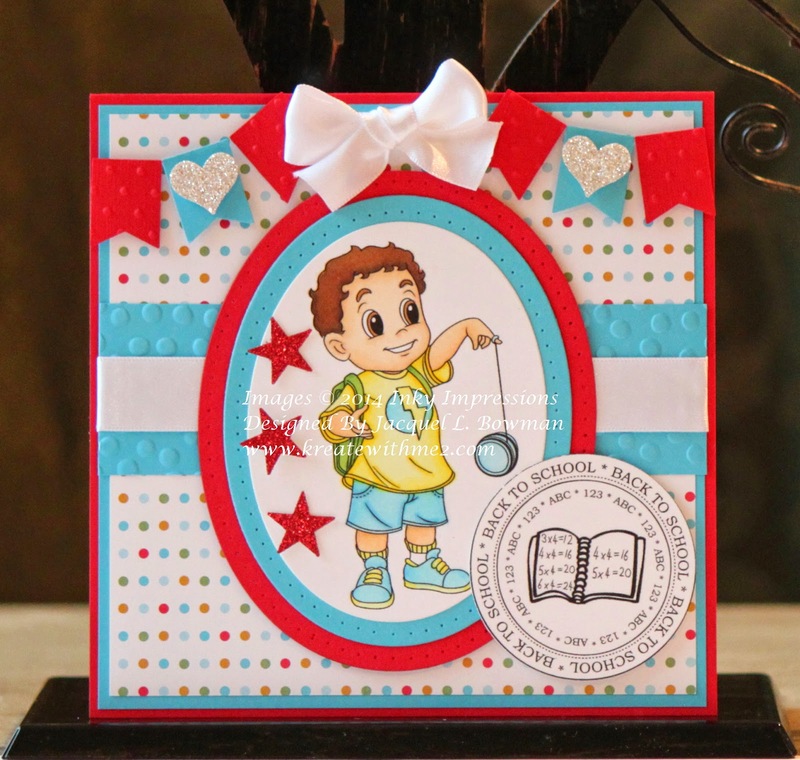 Kreate With Me 2: Inky Impressions School Themed New Release!!!!! It's new release time @ Inky Impressions and our theme this time around is all about school!!!! I played with the adorable Nicholas....he looks so cute playing with his yo-yo while waiting on the bus! I tried to keep my layout simple & I had to have a bit of bling!!! My teammates also made some gorgeous back to school projects so check out our blog to see what they created!!!! Don't forget to comment on the post to win an image & sentiment!!! Good luck everyone!!!!! I love this! It's too wicked cute and the colors are so fab and happy! Thanks for joining us at Fitztown Challenge Blog. Hope to see you again and good luck! Just beautiful Jackie!! I love the colors that you used and the image is darling. Love the banner across the top of the card. Lovely card. Great image and colours. Thanks for joining us at The Paper Shelter. Very cute! I really like the image, so sweet. Lots of lovely details. Thanks for playing along with The Male Room this week! Oh, he's so cute! What a great color combo too, where Stars and Stripes like! Great image, he's a cutie! Thanks for joining the Sentimental Sundays challenge, hope to see you again soon. This is a fantastic image for a back to school card. I love it. It's great to have masculine school cards. I find them hard to do sometimes. The stars and stripes are perfect. Thank you for joining ScrapbookerPhD's die cut and sparkle challenge. Thanks for joining at Milk Coffee challenge!